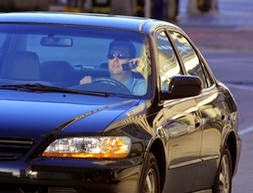 Washington Post -- The Maryland General Assembly approved legislation Monday that will stiffen penalties for drivers who cause fatal or serious crashes while talking on a cellphone or texting. The legislation now goes to the governor to be signed. Poster's note: A small step forward in neighboring Maryland, but they are headed in the right direction. Ideally, these acts of gross negligence and disregard for other road user's safety should warrant penalties commensurate with DUI. Will Delaware follow suit?